In the fourth of our series on prominent islanders for whom streets and other landmarks are named, today we mention Sarah Ellen O'Neal Gaskill. Miss Sarah Ellen has two streets named for her: Sarah Ellen Drive in the "Trent" area (near Jackson Dunes), and Sarah Ellen Lane, on the southwest side of Silver Lake. "Miss Sarah Ellen is blessed with good health and is happy. She saw the first Christmas tree at the United Methodist Church on the island almost 101 years ago. 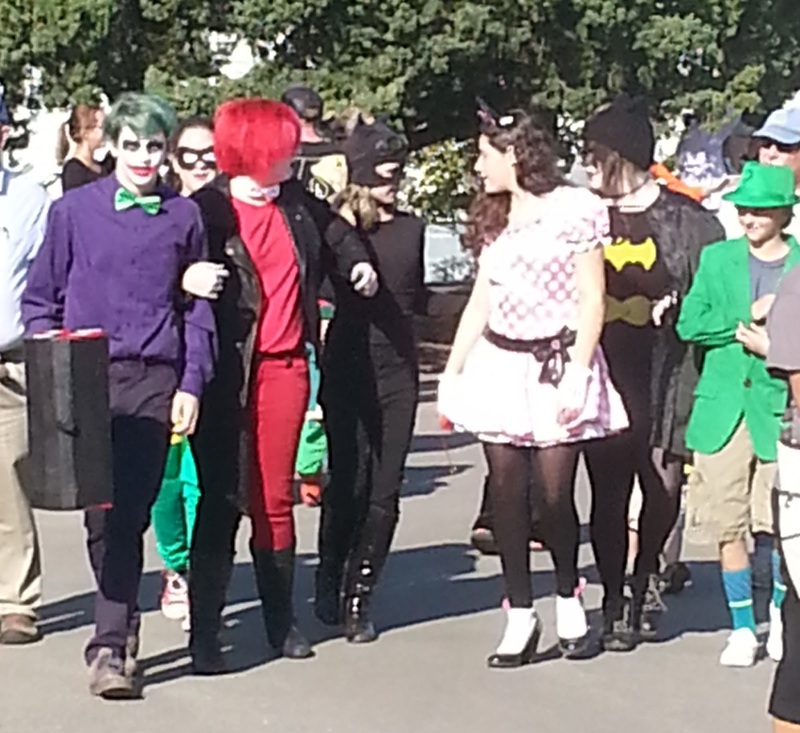 "This is a special month for Miss Sarah Ellen. 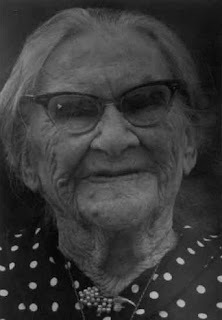 She was 101 years old. Happy Birthday from the Ocracoke Island News staff." As a young woman, Sarah Ellen worked shucking clams at the old Doxsee Clam Factory. Over the years she witnessed many changes to the island. Miss Sarah Ellen died September 22, 1984. 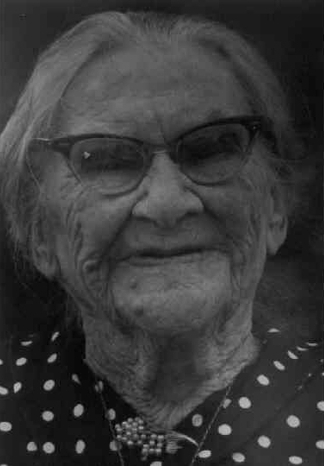 She was 104 years old. "Buccaneer" today signifies a pirate or privateer, especially those in the 17th century who operated from the West Indies to the north Atlantic coast of America. Originally "buccaneer" meant hunters of wild oxen, pigs, and manatees on the island of Hispaniola (the island that today includes the Dominican Republic and Haiti). 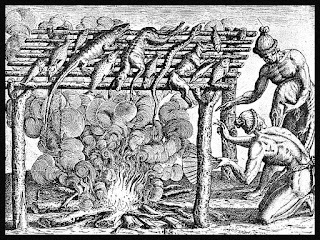 The term derives from the Arawak word "buccan," a wooden frame for smoking meat. 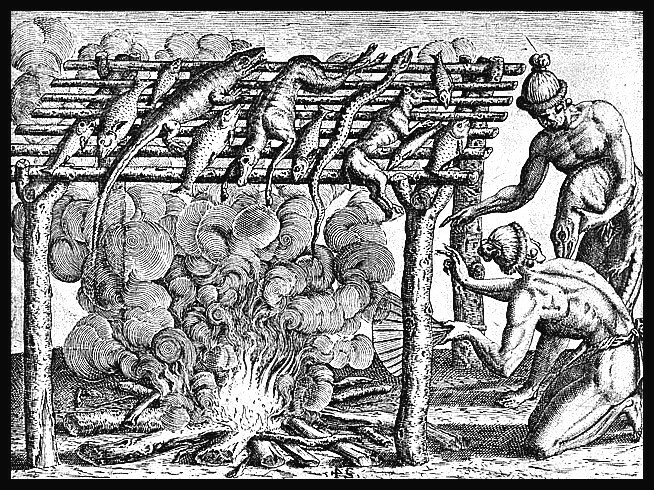 The French word "boucane" evolved from the Arawak, and the derivative "boucanier" came to mean French hunters who used such frames. It was a short step to the English word "buccaneer." Early English, Dutch, and French pirates often came from the ranks of buccaneers, so the word soon came to refer to the pirates who attacked and plundered Spanish vessels and sometimes entire coastal towns of the West Indies. By 1684, with the publication of the first English translation of Alexandre Exquemelin's book The Buccaneers of America the term became universally associated with pirates. 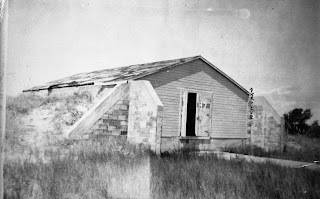 Many of our readers know that the former Ocracoke Coast Guard Station, built 1939-1940 on Silver Lake, was vacated in 1996. In 2001 the federal government transferred the unused Coast Guard building to the state of North Carolina which immediately began renovating it for teacher enrichment programs. The building is now the eastern campus of the North Carolina Center for the Advancement of Teaching. However, our readers may not know that the United States Coast Guard continues to have a presence on Ocracoke. According to http://www.uscg.mil/d5/sectNorthCarolina/StaOcracoke.asp (last modified April, 2015), "Coast Guard Station Ocracoke (small) is located on the southern end of Ocracoke Island, North Carolina. The station building is a modular structure constructed in the 1970's situated on 1 acre of National Park Service land. Station Ocracoke (small) operates on a seasonal basis and under the administrative and operational control of Station Hatteras Inlet. "As a multi-mission unit, Station Ocracoke (small) conducts search and rescue, boating safety, law enforcement, and marine environmental protection operations. A boat crew is available 24 hours a day and responds to more than 100 calls for assistance annually. The station's Area of Responsibility (AOR) includes more than 1350 square nautical miles of Atlantic Ocean, one third of the Pamlico Sound, and half of Ocracoke Island. 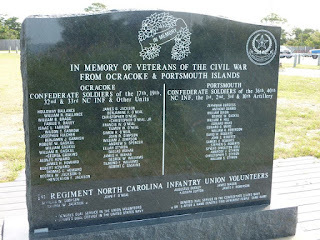 Station Ocracoke (small) also maintains the grounds and upkeep of the famous British Cemetary [sic] on Ocracoke Island." 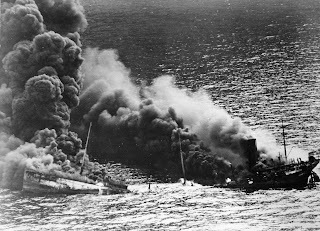 "In the winter of 1942, while America's attention was on the Pacific, German submarines began attacking ships off the North Carolina and Virginia coasts. Over the course of six months, the human toll reached into the thousands." So reads a short blurb on The Virginian-Pilot website about a 52-page reprint, Torpedoed, that includes all eight parts of the newspaper's story of German submarine attacks on US merchant ships from January to June, 1942. The series, by Diane Tennant, was originally published from Aug. 2-9, 2009, in The Virginian-Pilot. The booklet is available here: http://store.pilotonline.com/products/torpedoed. 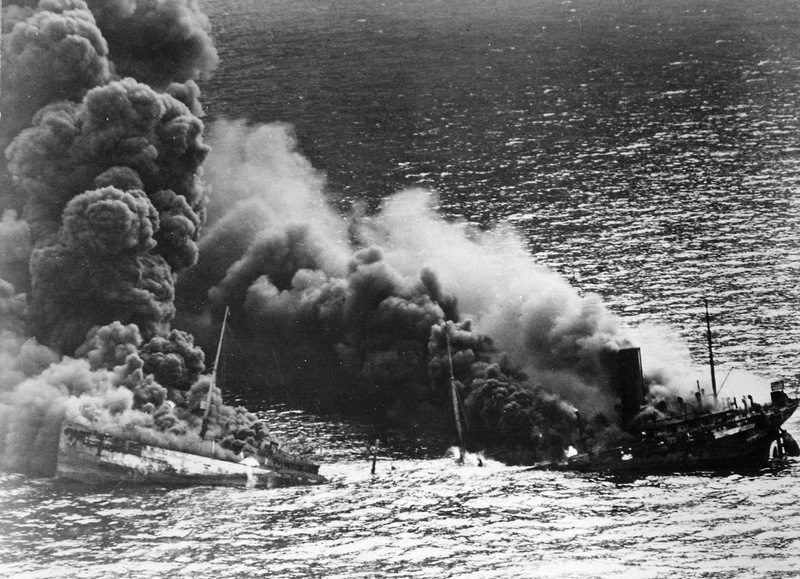 By early July, 1942, at least 367 ships were damaged or sunk off the East Coast of North America, in the Gulf of Mexico, and north of the Caribbean Sea. In North Carolina waters alone, more than eighty ships were sunk, and hundreds of lives lost. Albert Styron’s store, established in 1920 by Albert Monroe Styron, was one of several general stores on Ocracoke Island. 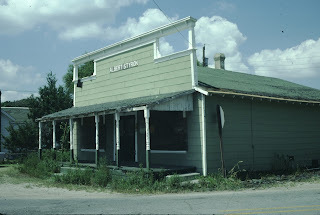 The store served the needs of people living Down Point. 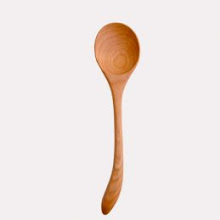 Long wooden counters stood in front of wall shelves that held beans, flour, rice, cereal, canned milk, and every other staple sought after by island cooks. Irish potatoes (referred to as “iced taters” by locals), vegetables, soft drinks, milk, eggs, and even fresh meats rounded out the selections. Albert Styron was lost at sea in 1956. 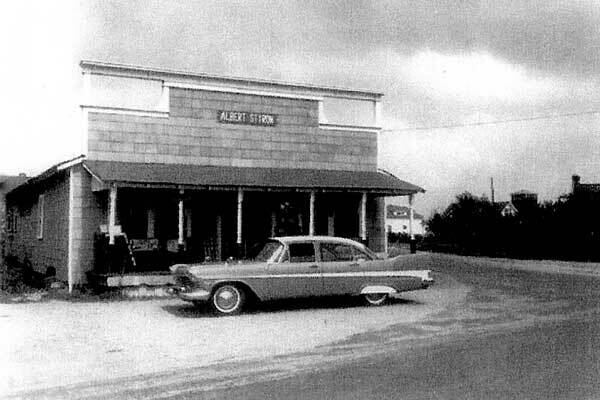 His son, Albert Styron, Jr. continued to operate the store. He died in 1975. After Albert, Jr. died, the property stood empty for a number of years. 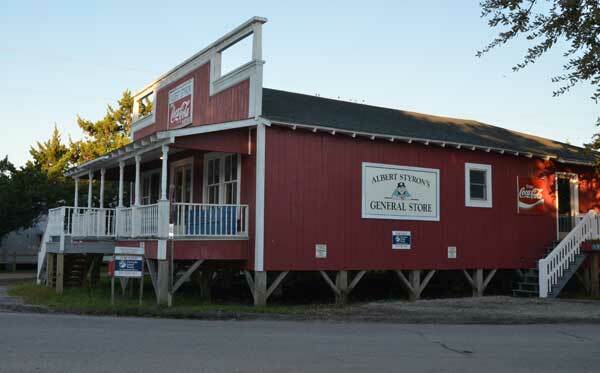 Today, Albert Styron's Store sells T-shirts, lighthouse gifts, Christmas ornaments, flags, soft drinks, and assorted other items. In the February 28, 1983 issue of the Ocracoke Island News Candy Gaskill wrote an article titled "Real Estate Prices Rise Over the Years." Candy pointed out that "real estate prices have skyrocketed over the last ten years." In 1983 land prices ranged from $10,000 to $25,000 for a 75' X 100' lot. At that time there were only two professional real estate brokers on the island, George Wilkes and Travis Campbell. According to Candy, "houses on the island don't come up for sale very often, even though there may be one or two every few years." She put real estate prices in perspective when she wrote that "several decades ago, a 50' X 100' lot and house cost as little as $500." Today, houses and lots do come up for sale more frequently, but prices have declined from a few years ago when the housing market was experiencing a boom. I recently did a quick Internet search for real estate on Ocracoke and discovered that empty lots are listed from $68,000 (no water meter available; well & septic not installed) to $350,000 (canal front). Today's post is third in a series dedicated to explaining the origins of prominent island landmarks. The road across from the Ocracoke Library, the one that passes by the side of the Ocracoke Coffee Company, and dead ends at a "T" (left to Oyster Creek, right to Jackson Dunes) is listed on our official island map as "Sunset Drive." Many islanders know it as "Firehouse Road" (although the firehouse was relocated to NC 12 a couple of years ago). Older islanders still call that road "Ammunition Dump Road," and are adamant that it should still go by that name. "The Complete Illustrated Map of Ocracoke" (available at Village Craftsmen and other island businesses) continues to include the designation, "Ammunition Dump Road." In 1942 the US Navy built a large facility on the island. It was designed to stop U-boat attacks off the North Carolina coast. In addition to construction of the base (near the Coast Guard station) the Navy paved the first road (a one-lane concrete strip) on Ocracoke. 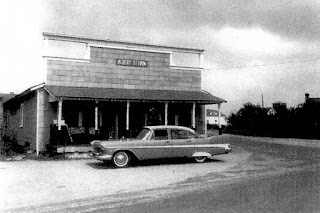 A portion of that road ran from the former firehouse (which now houses the school industrial arts program), alongside where the Ocracoke Coffee Co. is situated today, to the "T" at the end. Off the "T" the Navy paved short aprons. It was there that they stored ammunition. The road became known as "Ammunition Dump Road." After the war the base and ammunition dump areas were abandoned. Cousin Blanche remembers exploring that area with friends. They would climb up the ridge to gain access to the roofs of the ammunition sheds. From that vantage point they could see all the way to the ocean. Eventually all of the Navy buildings were either dismantled or moved. Eventually, the Ammunition Dump Road was repaved and widened to two lanes. Wednesday, October 7, 2015 - 2:30 p.m.
Hyde County officials are pleased to announce that Ocracoke Island will be open to visitors starting Thursday, October 8, 2015. NC HWY 12 on Ocracoke is currently closed between the Pony Pens and the Hatteras Ferry terminal but will reopen Thursday morning, October 8. The Ferry Division will make one run from Ocracoke to Cedar Island at 4:00 p.m. and one run from Swan Quarter to Ocracoke at 5:00 p.m. this afternoon. 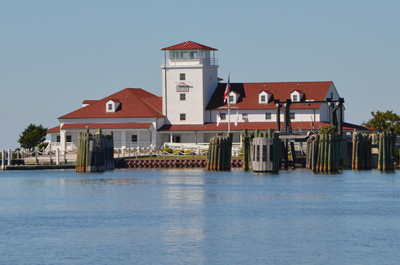 As a reminder, visitors are not allowed access to Ocracoke until tomorrow, October 8, 2015. The Cedar Island and Swan Quarter ferry routes will resume normal operations at 7:00 a.m. tomorrow, Thursday, October 8. A final decision about the Hatteras ferry will be made later this afternoon, and if conditions allow the Hatteras-Ocracoke route will also resume normal operations at 7:00 a.m. Thursday, October 8. Please check the NC Ferry website for updates and schedule information. I have been re-reading Carl Sagan's excellent book The Demon-Haunted World, Science as a Candle in the Dark. Sagan devotes four pages to recognizing "the most common and perilous fallacies of logic and rhetoric." The fallacy of "Confusion of Correlation and Causation" reminded me of the following photo I took more than a month ago. As I was walking along the Hammock Hills Nature Trail in August I noticed hundreds of these small fiddler crabs scurrying along the path. It was difficult to negotiate the trail without crushing the little guys! 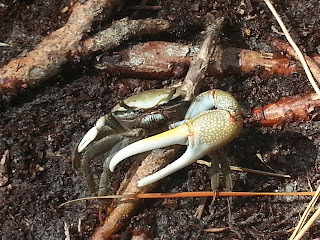 According to island folklore, when fiddler crabs (also called mud crabs) congregate in great numbers, it is a harbinger of an impending hurricane; not a causation but at least a meaningful correlation. So, did a hurricane ensue? Well...a month or so later Joaquin did travel offshore, affecting weather patterns and at least indirectly bringing us copious amounts of rain. 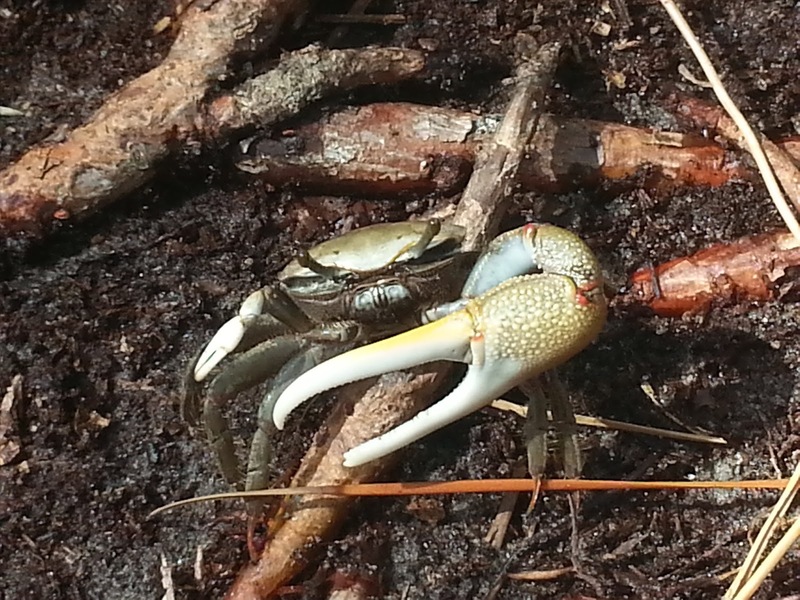 Of course, the fiddler crabs did not cause the hurricane or the rain, but is there a meaningful correlation? I am convinced that fiddler crabs appear in large numbers every year at about the same time (does it have something to do with their life cycle? ), and that this simply coincides with the peak hurricane season. 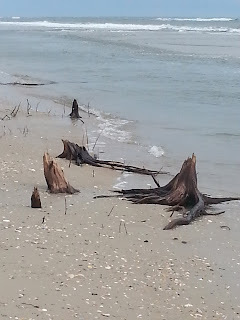 I doubt if the fiddler crabs somehow "know" that a storm is brewing. I doubt it. What do you think? According to The South Carolina and American General Gazette, October 6, 1775, "We learn from North Carolina that the damage done by [a recent, devastating] hurricane is incredible; the whole shore being lined with wrecks; upwards to 100 dead bodies have drifted ashore on Occacok Island." Sonny Williamson reports in his book Shipwrecks of Ocracoke Island that "a violent hurricane out of the northeast struck at about 6 a.m. with winds steadily increasing until 2 p.m. Then the wind came around to the WNW (the eye of the storm had passed). From then until 4 p.m. the winds were most severe." Ships that "wrecked at the Bar" included vessels from Massachusetts; Glasgow, Scotland; Virginia; and North Carolina. Visitor access to the island is still prohibited and will continue to be tomorrow, October 7, 2015. A decision about allowing visitors to Ocracoke starting Thursday, October 8, 2015 will be made tomorrow afternoon. Tuesday, October 6, 2015 - 1:30 p.m.
Hyde County officials believe the worst of the flooding from a recent low pressure system has passed, although high water continues to linger creating hazardous driving conditions. At present time all ferry routes serving Ocracoke Island are currently suspended due to inundation of roads. Visitor access to the island is still prohibited and will continue to be tomorrow, October 7, 2015. A decision about allowing visitors to Ocracoke starting Thursday, October 8, 2015 will be made tomorrow afternoon. The National Guard and a swift water rescue team are still in place in Swan Quarter to help with rescues and check on people in their homes. The swift water rescue team has successfully completed four rescue missions since arriving in Hyde County. An emergency shelter with showers and cots is open at O.A. Peay School, 1430 Main Street, Swan Quarter. Call 911 or the Hyde County Sheriff's office for assistance. NC HWY 12 on Ocracoke is closed between the Pony Pens and the Hatteras ferry terminal with 4-12 inches of water on the roadway. The Ocracoke Volunteer Fire Department will conduct an assessment of Ocracoke village tomorrow and report back to Hyde County officials. With so much rain these last couple of weeks Ocracoke now seems like Venice. David Tweedie took this photo yesterday. The roads have become canals, and the main means of transportation is kayaks! Hyde County, NC continues to brace for additional rain and flooding forecast for the next 24 hours. All ferry routes serving Ocracoke Island are currently suspended and visitor access to the island is still prohibited. Widespread flooding of local roads has created hazardous driving conditions through Hyde County. Drivers should exercise extreme caution and avoid water if possible. NC HWY 12 on Ocracoke is still closed between the Pony Pens and the Hatteras ferry terminal. Beach erosion resulting in another dune breach last night, ~100 foot in length. 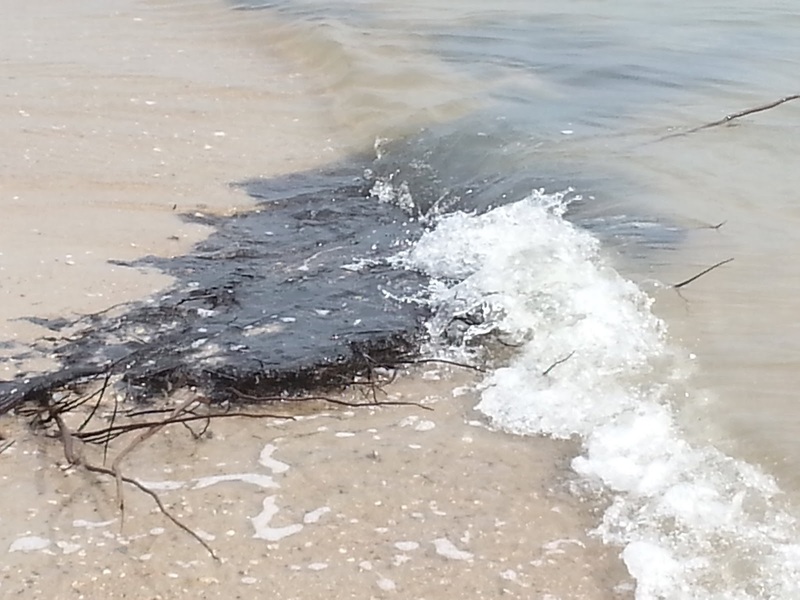 Coastal Gas is on Ocracoke to secure gas tanks if need be. Please report any floating natural gas tanks to Coastal Gas by calling 252-491-2625. 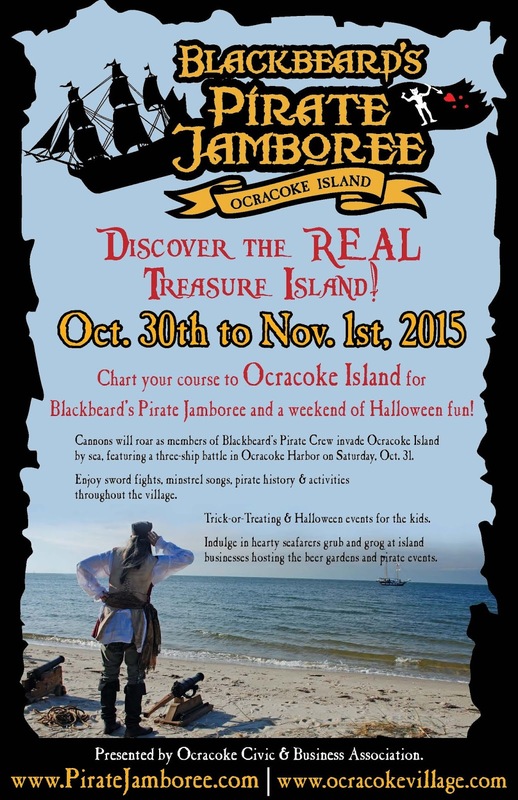 Chart your course to beautiful Ocracoke Island for the 3rd Annual Blackbeard’s Pirate Jamboree and a weekend of swashbuckling fun Oct. 30 to Nov. 1. Help us celebrate our unique piratical heritage! The centerpiece of the Jamboree is an historically-accurate pirate encampment from 10 a.m. to 5 p.m. Saturday, Oct. 31, by Blackbeard’s Pirate Crew, an 18-member living history organization from Hampton, VA., on the grounds of the historic Berkley Manor. Dressed in authentic costumes from the 17th and early 18th centuries, pirates will engage the audience with storytelling, sea chanteys, navigation, medicine, and more. Visitors will see demonstrations of pike drills and vintage black-powder weapons. Activities at the encampment and in the historic Community Square will include bands of roving pirates, a “Scallywag School” for kids, a “Brigands’ Bazaar” featuring pirate-themed wares for sale, and swordplay performances. Two beer gardens will offer Heavy Seas grog—sponsored by The Ocracoke Youth Center across from Community Square, and at ‘SMacNally’s on the docks at the Anchorage Marina. 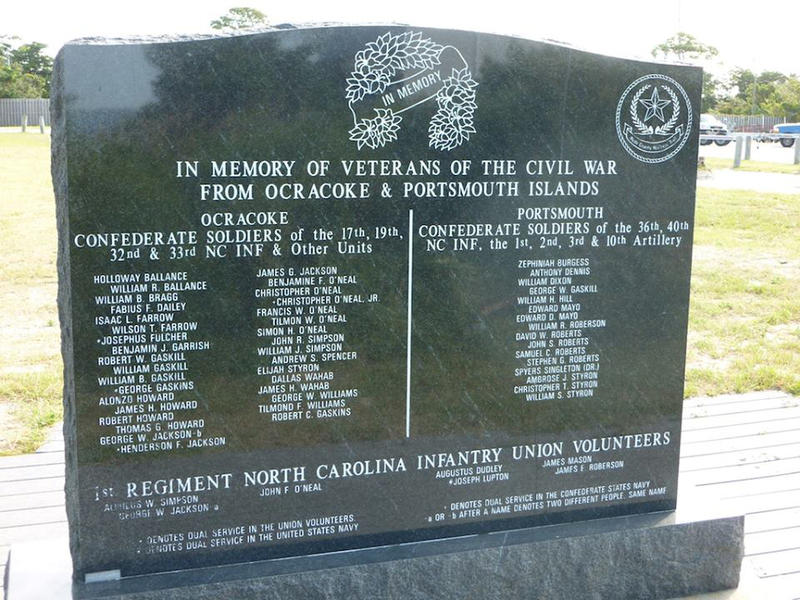 The main event will be the re-enactment of “The Battle at Ocracoke,” taking place at 1 p.m. Saturday on the island’s beautiful harbor, Silver Lake. 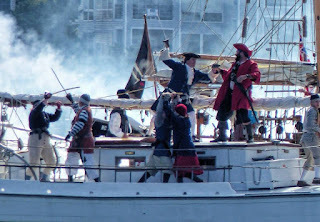 Three ships will re-create the last hours of Blackbeard and his crew as Lt. Robert Maynard brings them to battle with cannons blazing. 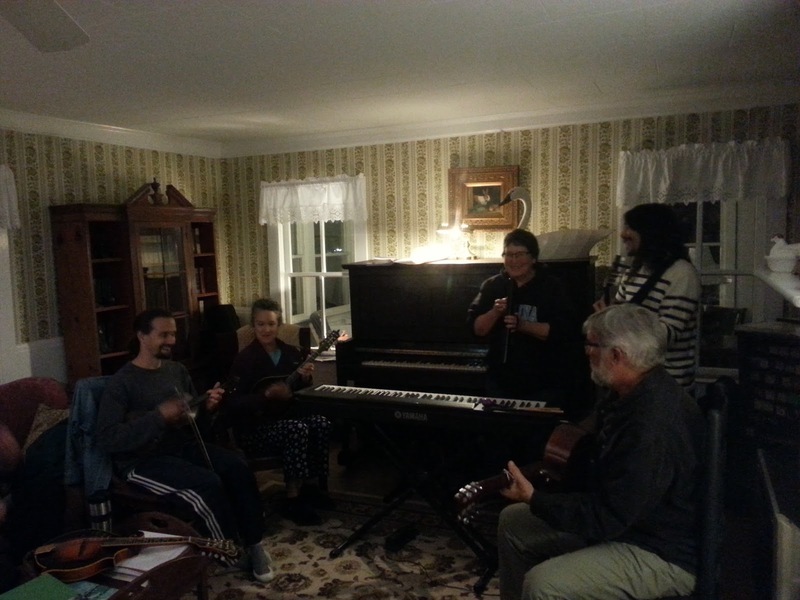 Among the professional pirate crews attending will be Sinbad in his Meka II, the historic skipjack Ada Mae, the Shadow Players, the Beaufort Oars in their sloop The Ranger, the Motley Tones minstrels, and Chris Suttle as Blackbeard. The Jamboree kicks off Friday with a “Meet the Pirates!” evening of facts and fun. Historian Kevin Duffus will give updates on his pirate research, the “Pirates Follies” will compete for the biggest laughs, and the Motley Tones will sing seafaring and piratical songs! At Ocracoke Community Center starting at 7 p.m. Admission is $5; refreshments will be available. Sunday, Nov. 1, will conclude with the pirate march at 10 a.m. to Springer’s Point for a ceremony commemorating the fall of Blackbeard Nov. 22, 1718. Join the pirates for lunch afterward at Howard’s Pub! All visitors are encouraged to get in touch with their inner pirate and wear their best pirate gear. 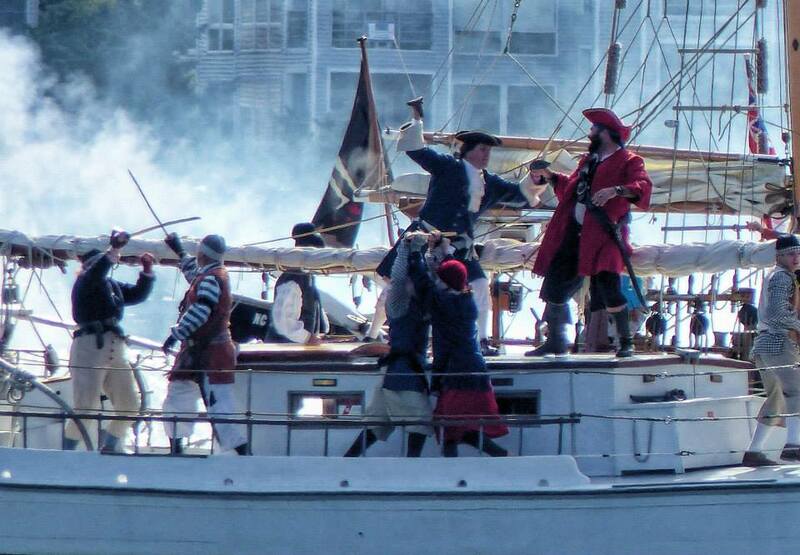 This is an annual event, held the last weekend in October, leading to the 300th anniversary of Blackbeard’s demise in 2018. Public parking is available at the NPS Visitors lot at the south end of the island, 4352 Irvin Garrish Highway. For more information, contact 252-928-6711 or email info@ocracokevillage.com A complete schedule of events is available at www.ocracokevillage.com. 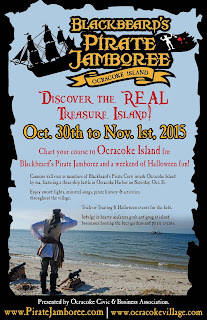 Like us on Facebook for more updates: @ Blackbeard’s Pirate Jamboree on Ocracoke Island. I know that long-time readers of this blog are accustomed to checking here for hurricane information. As it turns out, I am not on the island. I left to go to the dentist and to visit family, not because of the storm. 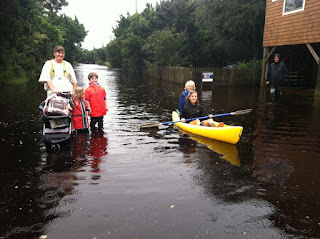 However, as a result, I do not have any current photos, although I know that Ocracoke has had steady rain and flooding for days. I posted a storm link from the Cape Hatteras National Seashore on our Facebook page. As almost everyone knows by now, Joaquin is forecast to continue off shore, but Ocracoke might still get tidal flooding. In this day and age Facebook can be your best source for current conditions. Many thanks to all who have written or contacted us with wishes for our safety and protection of property. You may have seen Bones the Pirate this summer. Bones is a self-appointed roving ambassador for Ocracoke. 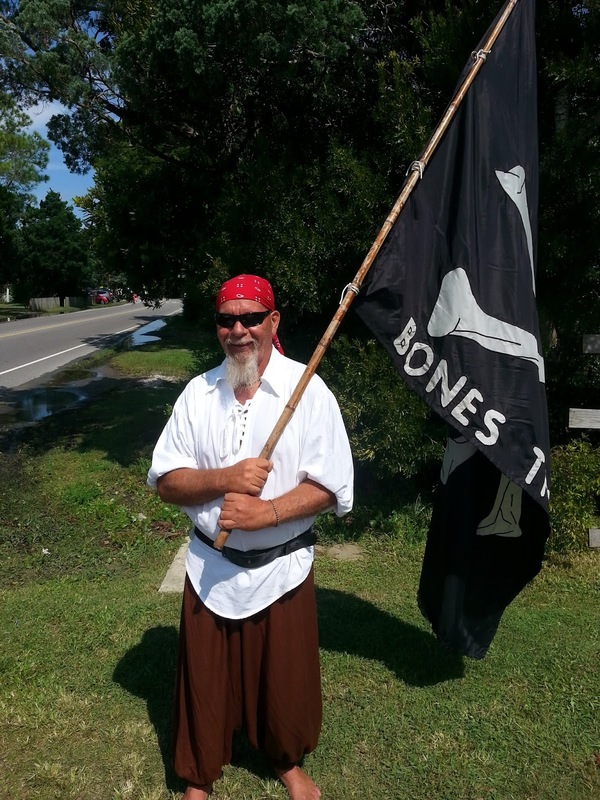 Dressed in his red bandanna, pirate shirt, and pirate pants (he is barefooted, and carries a large pirate flag...and usually acquiesces to donning wrap-around sunglasses), Bones walks through the village chatting with visitors & residents. Children love to have their picture taken with him. It does my heart good to know that colorful characters still call Ocracoke home! On Sunday, during a brief period of clear blue sky, we went to the beach. 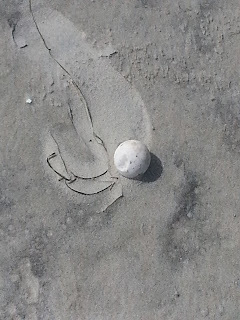 Just north of the "Lifeguard Beach" we spied about a dozen and a half "ping pong balls" washed up near the dunes. Upon picking one up, of course, I quickly confirmed that they were leathery turtle eggs which had been washed out by our recent high tide. Not far away, lying in the sand, was one of the signs that had been erected to protect the nests from human interference. Unfortunately, the turtle eggs were no longer viable. Most were squashed or dented, and saturated with seawater. However, according to Irene Nolan in the Island Free Press (August 5, 2015), "It's official -- sea turtle nesting on the Cape Hatteras National Seashore has set a record and the nests keep on coming. According to today's resources management report [August 5, 2015], 269 sea turtles have nested on the seashore -- 15 more than the record 254 set in 2013." 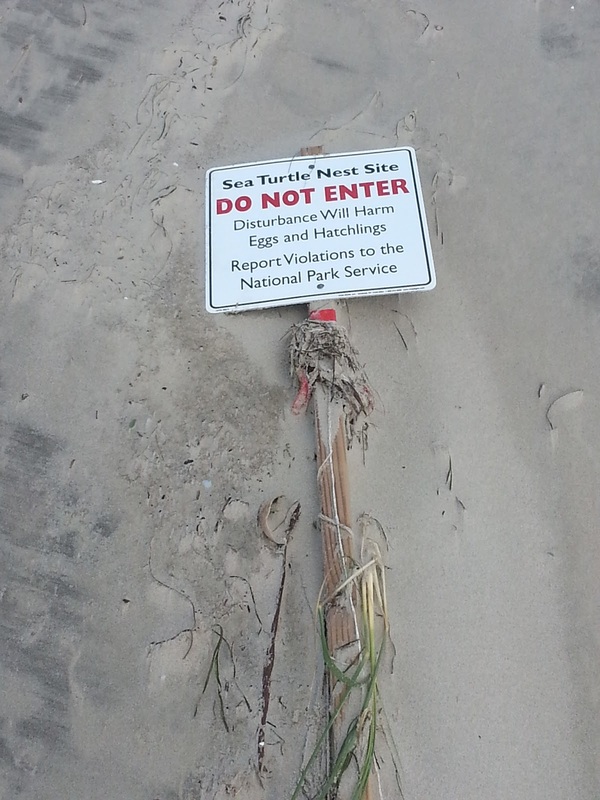 So, although the loss of this nest is unfortunate, the future of sea turtles is not so dim.